Remember your favorite family summer home? The hidden gem that provided an experience filled with swimming, fishing, and relaxing by the fire? It was pure, simple, and perfect. 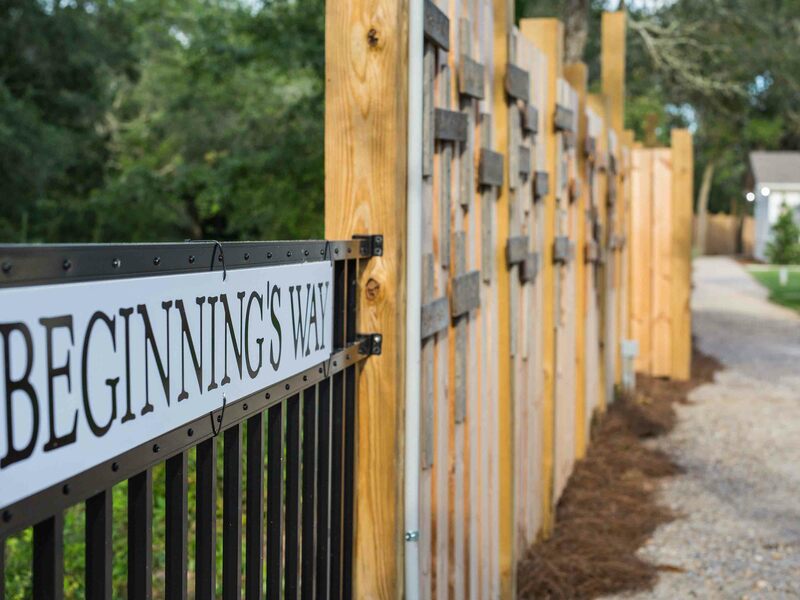 Well, you have found that simple connection to nature and your favorite memories at Cottages by the Bay. 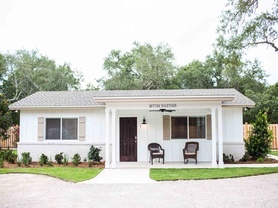 The lovely Cottages by the Bay feature seven vacation homes within one charming community. These Destin vacation homes have a quiet presence and an old Florida feel, perfect for a nature immersed getaway. Located across the street from the Destin Bay House, the premier Destin wedding venue, Cottages by the Bay are ideal for on-site lodging during your destination wedding. Or, with the large amount of space, for your next family reunion or corporate getaway. 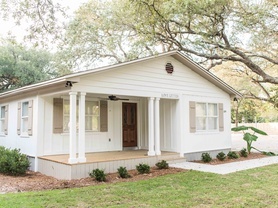 In the Cottages, you will find qualities special to each home rental, from upgrades such as stainless steel appliances to outdoor features like charming front porches and fireplaces. You’ll find the perfect rental for any size group, as these Destin vacation homes range from one to four bedrooms. Enjoy all the luxuries of home while on a relaxing vacation at Cottages by the Bay. Bring your boat for time out on the water— fishing or floating. Enjoy boat slips, trailer parking, and a wash down station. You will find access to a boat launch less than a mile away at Joe’s Bayou, which leads directly into the Choctawhatchee Bay—the perfect place to pass down fishing and swimming skills to the next generation. During your stay, many Destin events, popular venues, and area activities are a short walk away. Of course, stroll to visit HarborWalk Village for shopping and restaurants. Local favorites, including Dewey Destin’s Seafood Restaurant and McGuire’s Irish Pub, are just steps from the Cottages. Are you in town for a sporting event? 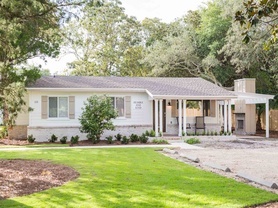 This vacation home is down the street from several fields. 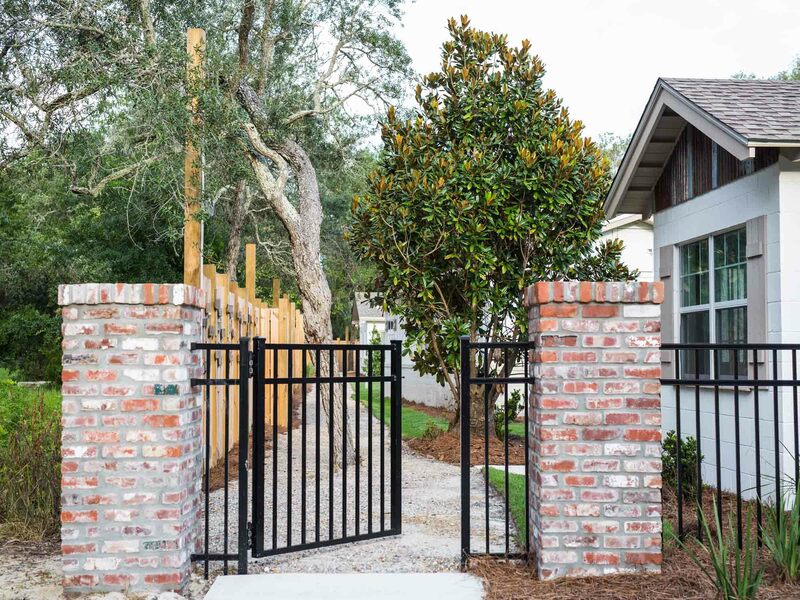 So walk to the Destin Little League Field and take a short drive to the nearby Destin Elementary School Fields. Afterwards, check out Clement Taylor Park, where you will find a playground and access to the Bay. You can even rent a wave runner or pontoon boat from La Dolce Vita. 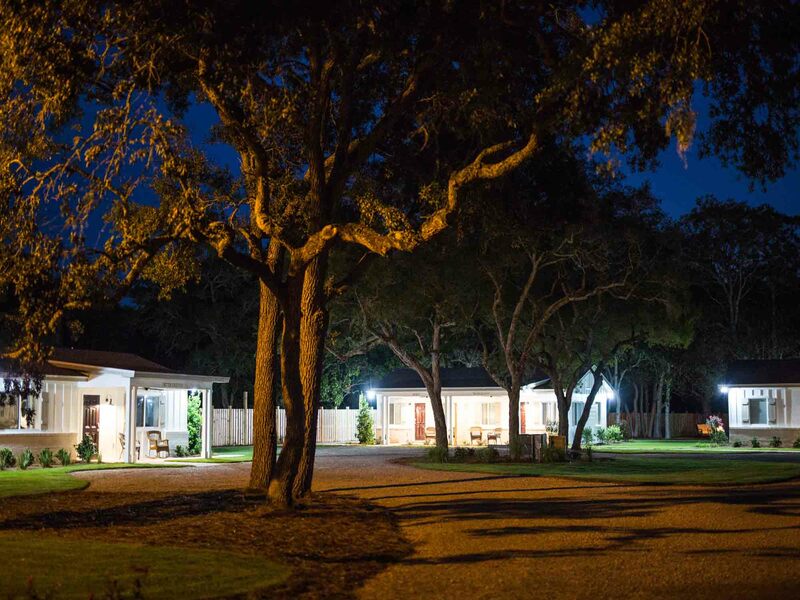 You will find La Dolce Vita located directly across the street from Cottages by the Bay. If you are interested in a beach day, venture to Henderson State Park for a day on the sugar white sand. Finally, in the evening, recap the day’s highlights as you sit by a fire and enjoy s’mores under sparkling bistro lights at the fire pit. 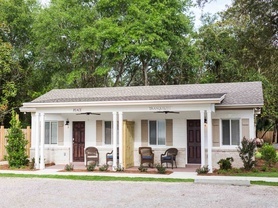 Reserve your stay at one of the Cottages by the Bay vacation homes in Destin today – or book them all as one! Boat slips available for a nominal fee. Vacations are better spent together, especially at Better Together! This two bedroom, two bathroom Destin vacation home is reminiscent of your favorite family vacation spot. You have found your next vacation tradition at Family Tradition. Enjoy a modern twist on the old Florida vacation home at this four bedroom, three bathroom Destin home rental. Enjoy a serene getaway filled with fishing and swimming in the bay at Humble and Kind. 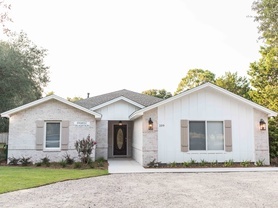 This three bedroom, two bathroom Destin vacation home provides the restoration and relaxation you need. Create lifelong memories filled with love at Love Letter. A peaceful vacation is waiting for you at this three bedroom, two bathroom Destin vacation home! Look no further than Peace for a vacation filled with peace and quiet. This one bedroom, one bathroom Destin vacation home is perfect for your next family escape. When planning your next corporate getaway or family retreat in Destin, choose Cottages by the Bay Retreat! 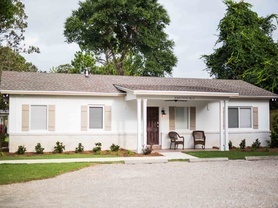 These vacation homes in Destin, Florida are ideal for any kind of group travel and offer a wonderful location in the heart of Destin. Enjoy blue skies, sunshine, and fishing in the bay at Something Blue. Have an old Florida cottage experience at this three bedroom, three bathroom Destin vacation home. 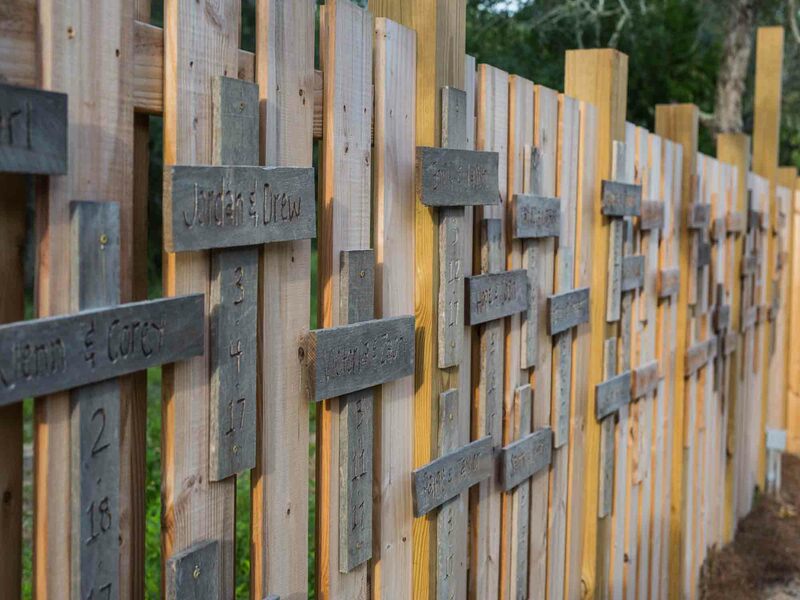 For your next escape, enjoy a quiet, wooded setting and stay at Tranquility. Relax and restore in this one bedroom, one bathroom Destin vacation home!